Shikatani Lacroix designed a sponsored wall in Rogers Place in Edmonton, Alberta, to celebrate Pepsi Canada’s sponsorship of the Edmonton Oilers. Engaging hockey fans with the excitement of Pepsi’s brand, this massive corner of the arena is impactful, enticing, and eye-catching. It uses dynamic phrases and images rooted in the Edmonton Oilers community and focuses attention on Pepsi’s collectable twisted Axl drinking glass – the signature Pepsi schooner that refreshes sports fans around the world. 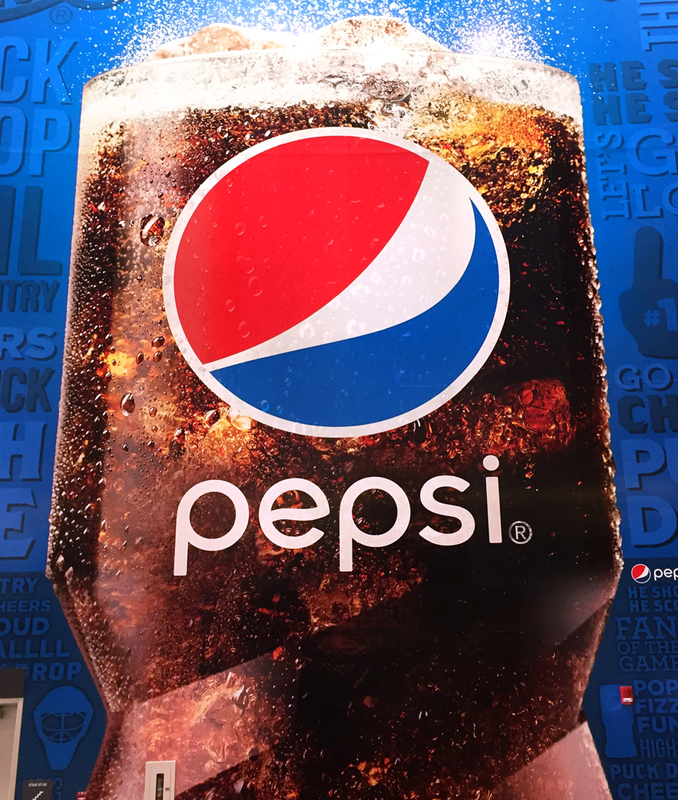 The Axl design has been used on branded bottles and glasses internationally and was chosen for this 50 ft by 213 ft wall to highlight the refreshing Pepsi products available at the arena. The primary challenge of designing this corner of the arena was working with such a vast space to present a unified message of team spirit, particularly within the constraints of Rogers Place’s design guidelines. The end result is a hat trick for Pepsi, the Edmonton Oilers, and their fans.